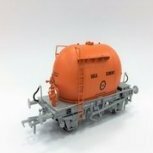 Just wondering if you have any plans to announce an IRM 2019 range similar to the way the 2018 lineup was pre-announced? Obviously the exciting A class is known about and some of the 2018 project 42 kit looks likely to ship during 2019. Also any plans for an IRM social get together like last years snow affected event? It's something we are debating ourselves at the moment, and we are thinking we may do it around the Bangor Show in April, but we havent fully decided yet. Obviously with the 42 range and the As there is a lot announced already that we care working hard on, but we do have some additional items to announce. Once we have the bones of them together we can make the announcement, but a lot of it is dependent around the recommencement after Chinese New Year. We are still open to doing a social gathering and may do one for when the A's land. Fran, IRM are more than welcome to make any announcements at the Wexford Exhibition at Easter!